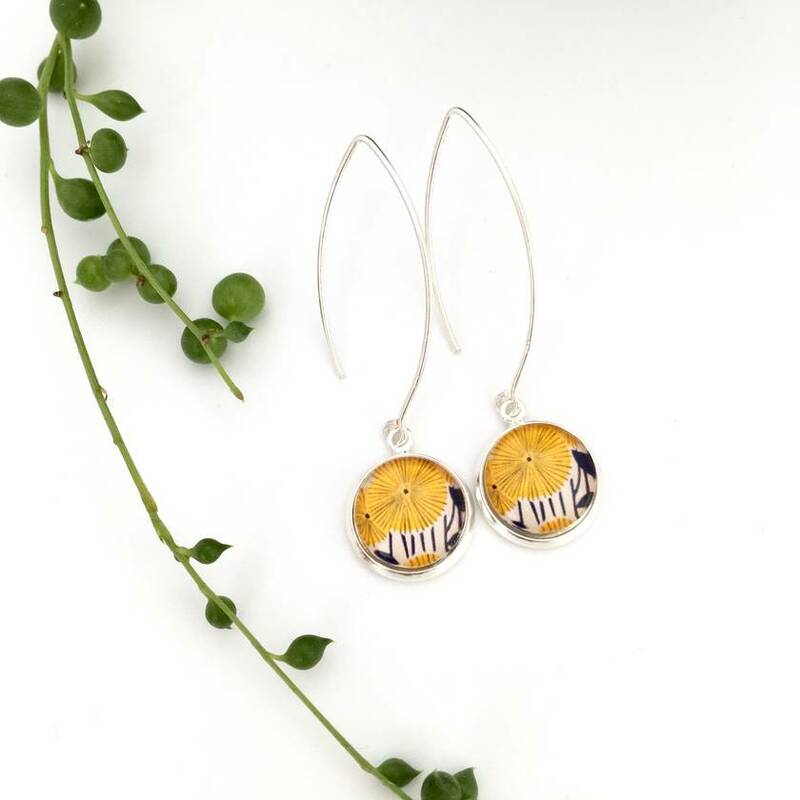 Beautiful sterling silver hook earrings with a gorgeous mustard flower on a deep navy blue and white background. 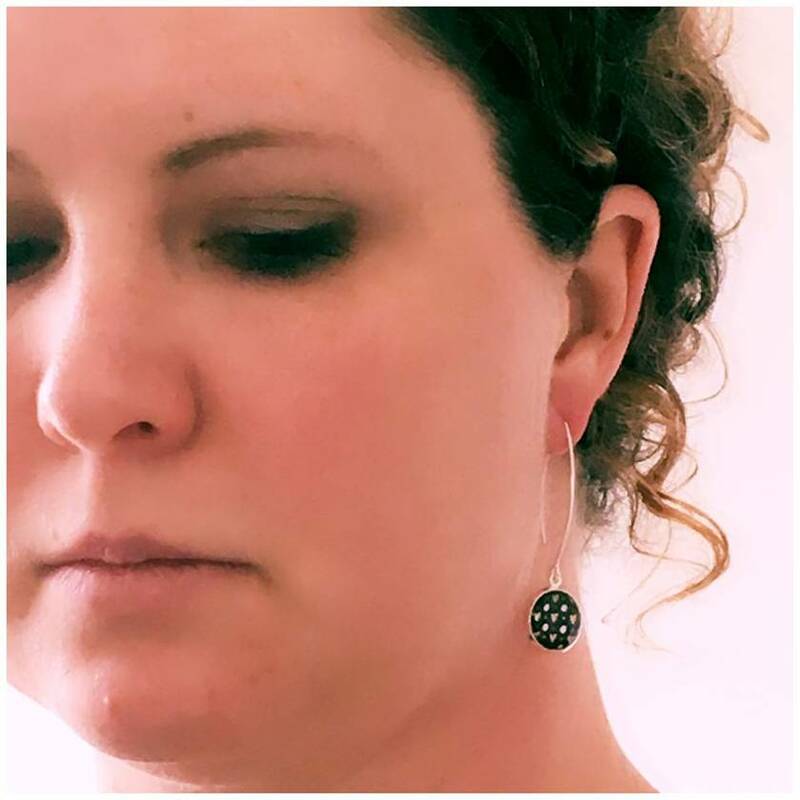 Our glass dome earrings are hand set and made with love and care. Contact happyful to enquire about payment or shipping options.